The day after Thanksgiving I slept in and skipped the shopping! I’m not a huge fan of Black Friday anyways so I didn’t feel like I was missing out. 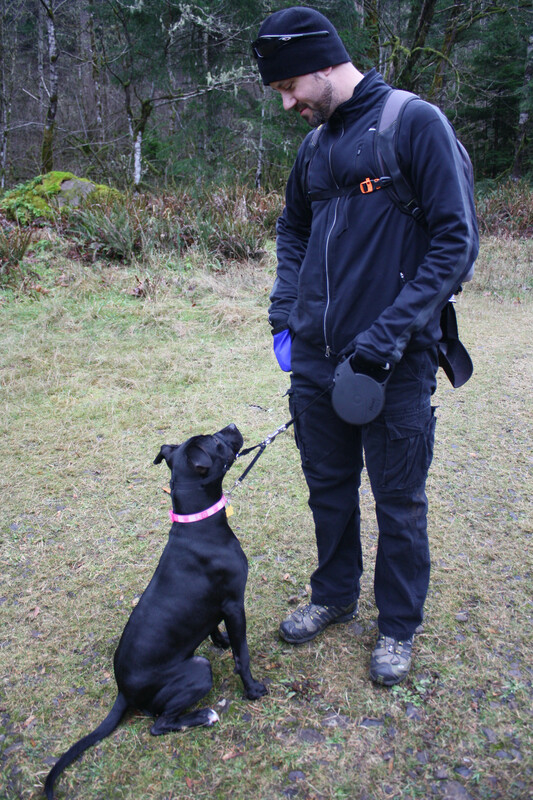 Instead, Michael and I took Bella for her first hike! It was a nice fall day–chilly but dry with blue skies and some clouds mixed in. We drove about 40 minutes east into the Gorge to Cascade Locks, right by The Bridge of the Gods. 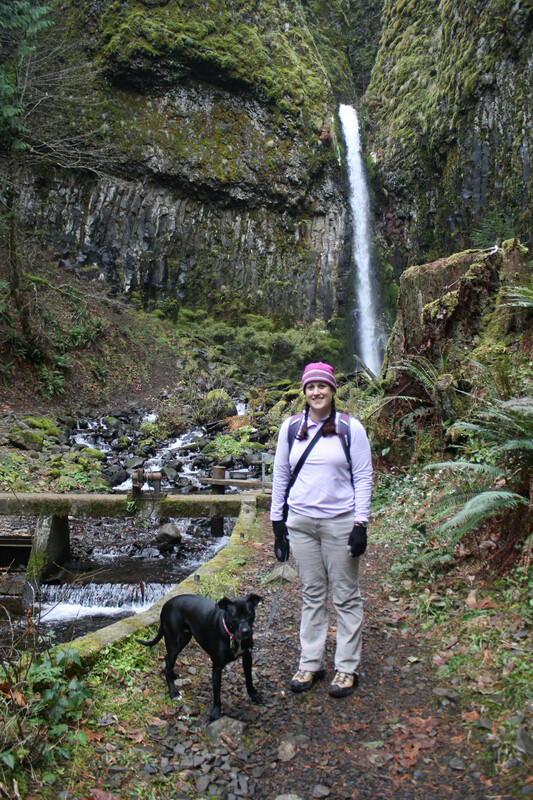 We wanted to hike Dry Creek Falls again. 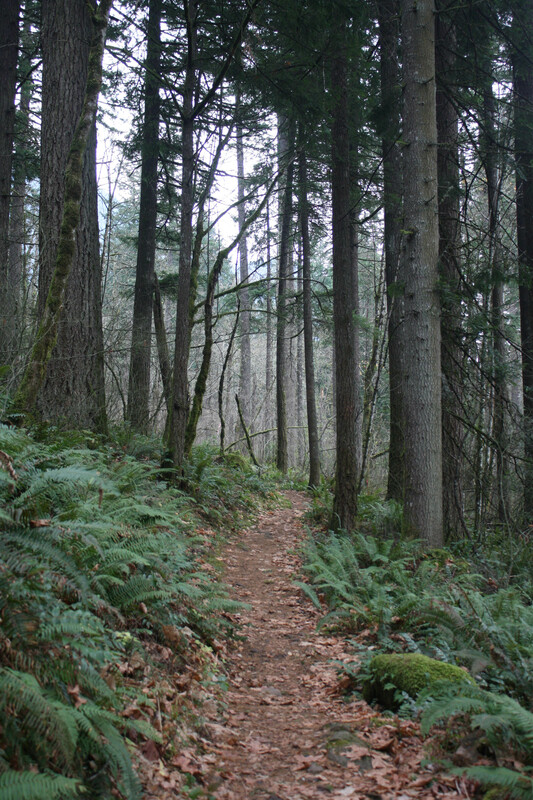 A year and a half ago we went hiking on this trail and totally got lost. We took a wrong turn somewhere and ended up wandering around old logging roads. We never found the Falls and to be honest, it’s BUGGED me ever since that we missed the trail head to the Falls. I suggested we give it another try. The elevation gain is practically non-existent and it’s a pretty easy trail (which is good for my knees). While I haven’t had any issues with my knees lately, I didn’t want to press it. We did the first part of the hike, just like last time. Bella was okay to start with. 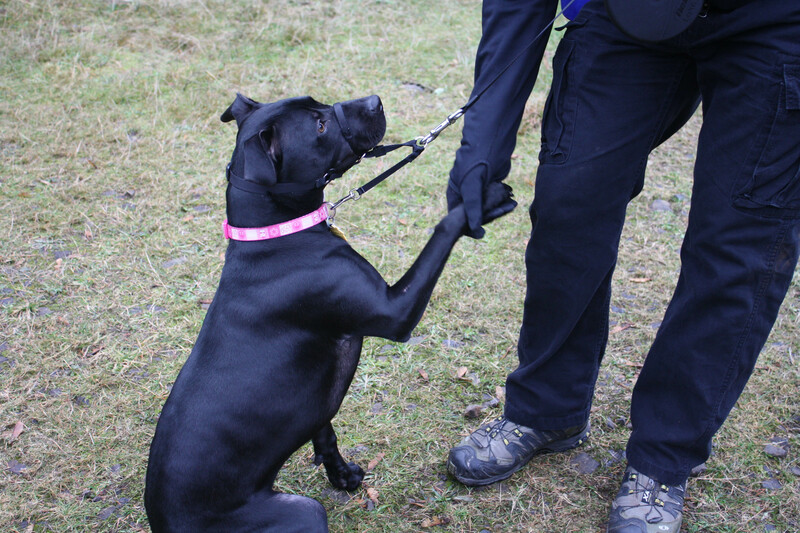 She was pulling a lot on the leash but as we went along she got a lot better at that. I walked first–partly to be on mushroom patrol to keep Bella away from them, and partly to be the “pack leader.” This helped a little with her pulling. She walked behind me and Michael was in charge of her leash at the back. There was a little bit of mud in places but for the most part the trail was dry and easy to walk on. Bella was doing a great job! She plodded along and seemed to like her new adventure. The only downside was that she barked at everyone we passed on the trail. She didn’t do it aggressively, it was definitely out of fear, because she’d cower behind Michael as she was barking at the strangers. Thankfully there weren’t a TON of people on the trail. Just some families here and there. 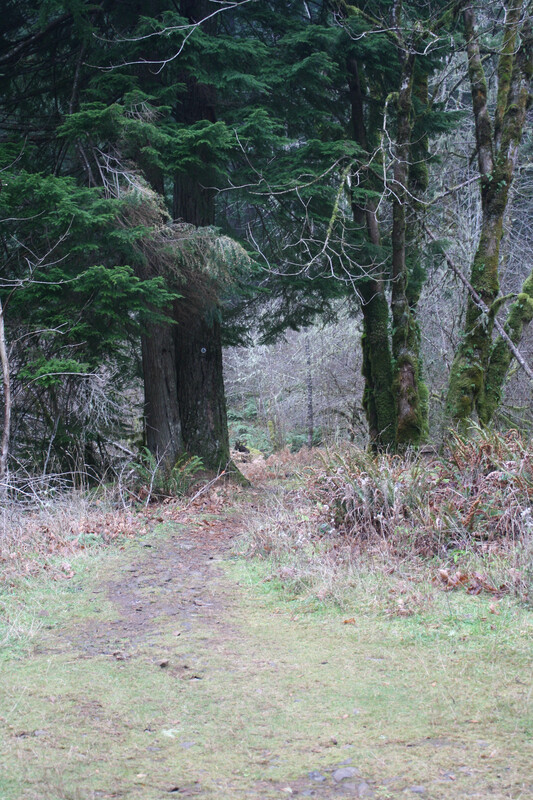 The first part of the trail has a decent uphill climb. It was enough to get our hearts pounding, my heart rate got up to 150, and then we reached the clearing–aka the place we took the wrong turn last time! We stopped for a water break and gave Bella some water. She lapped it up. She seemed to be doing okay, didn’t seem tired or anything and still liking hiking. I’m telling you, it’s hard to see! Anyways. 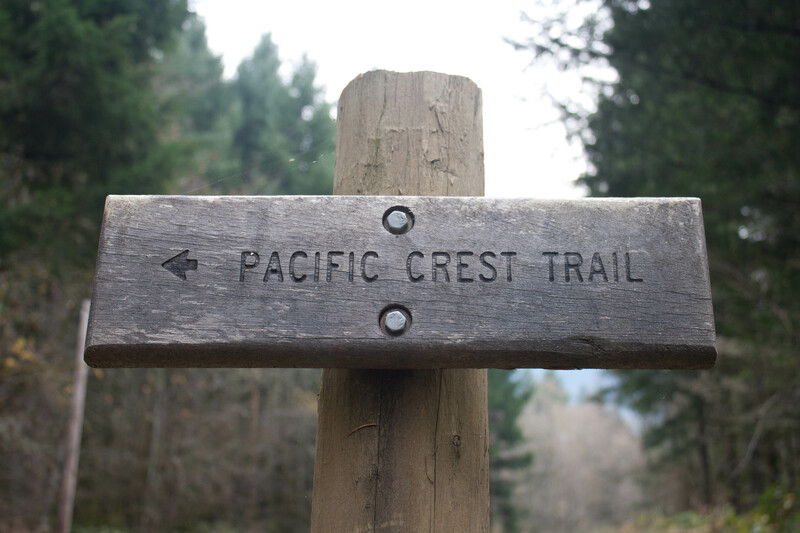 We got the rest of the trail and it wound through old growth forest on the Pacific Crest Trail. 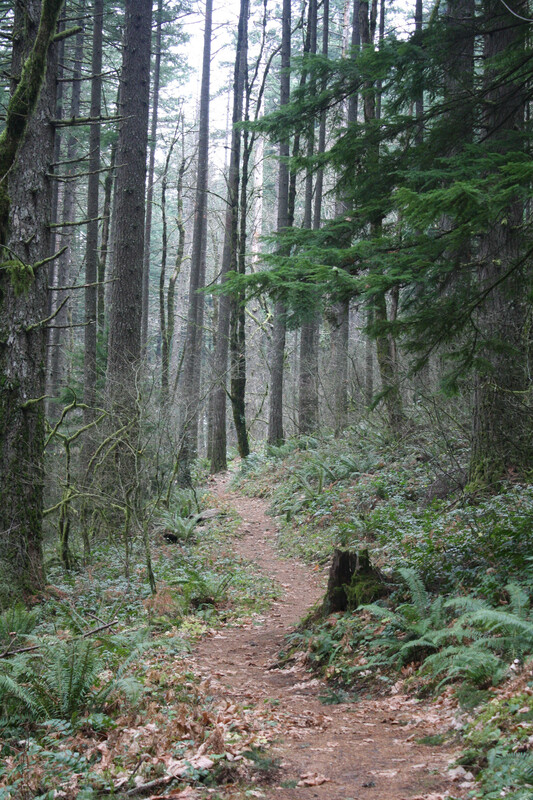 It was quiet–no animals in the woods, or if they were there they were hiding, and very few people on the trail. 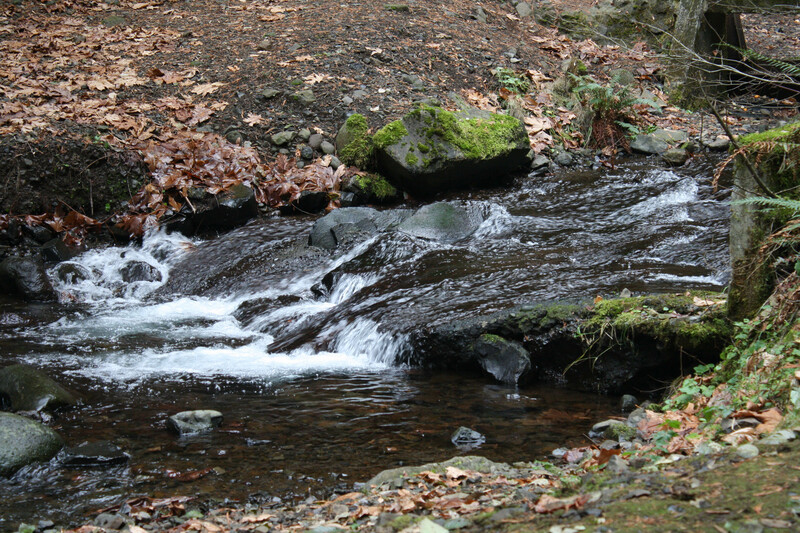 The trail started to go downward and all of a sudden we could hear water. She didn’t seem scared of the water. Then we had a decision to make. The falls were another 1/2 mile up the hill, or we could turn back. For some reason my sense of time and distance was off that day. 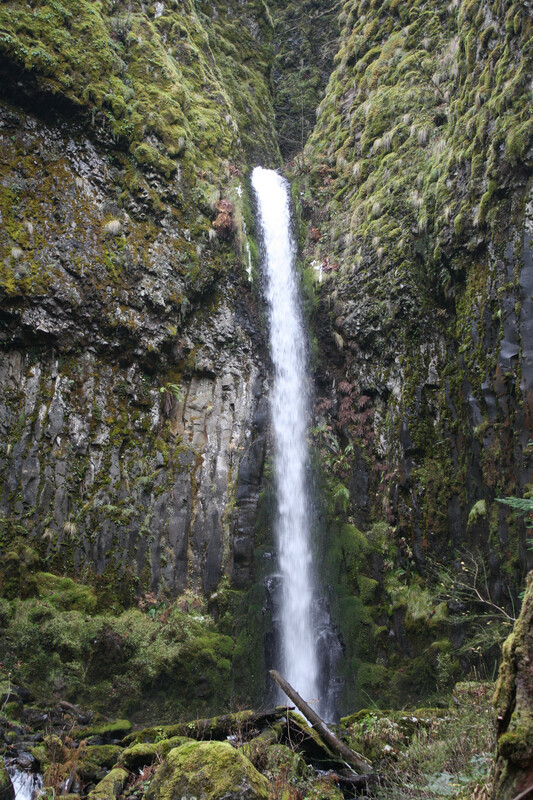 It had felt like we hadn’t hiked that much and it seemed silly to turn around when we were so close to the waterfalls. We decided to hoof it up the hill to the falls. I’m glad we did. We FINALLY saw the falls! And it was really pretty. It was time to head back. It was pretty cold out there. My fingers were freezing, even in gloves. Bella seemed to be doing okay but overprotective momma in me started to worry. 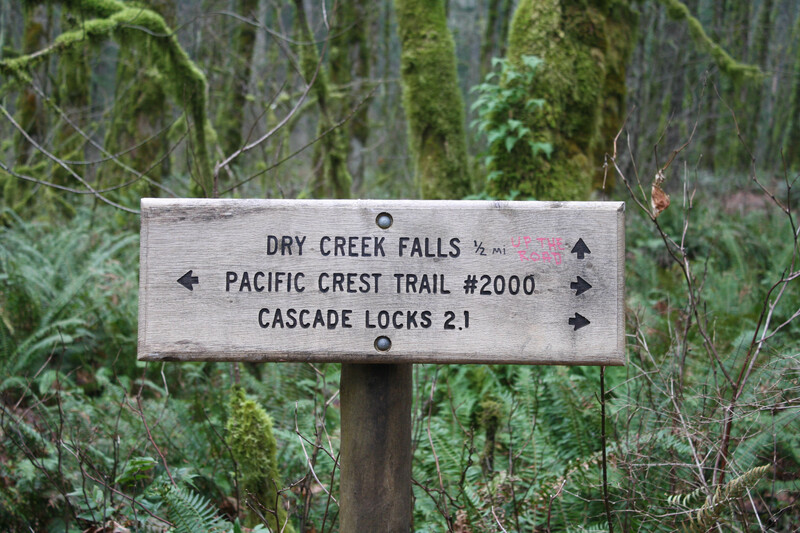 Having seen the sign that spelled out just how far we hiked–I worried we did too much. Too much for Bella’s first hike and too much for my knees after almost zero hiking this summer! We just lost track of time while we were out there. That’s the danger of “easy” trails–you don’t notice the lapse of time or energy. I kept checking on Bella and she seemed okay. 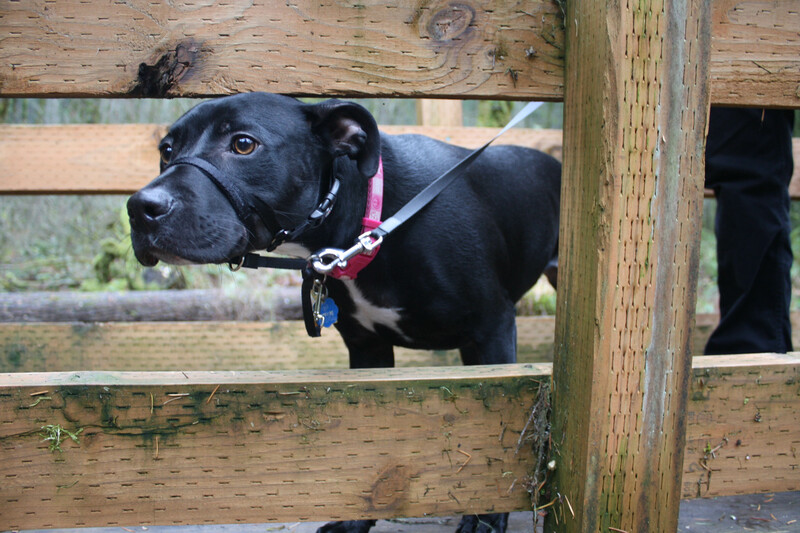 She wasn’t showing any signs of fatigue other than the fact that she wasn’t pulling on the leash anymore. She seemed pretty chill on the hike back to the car. 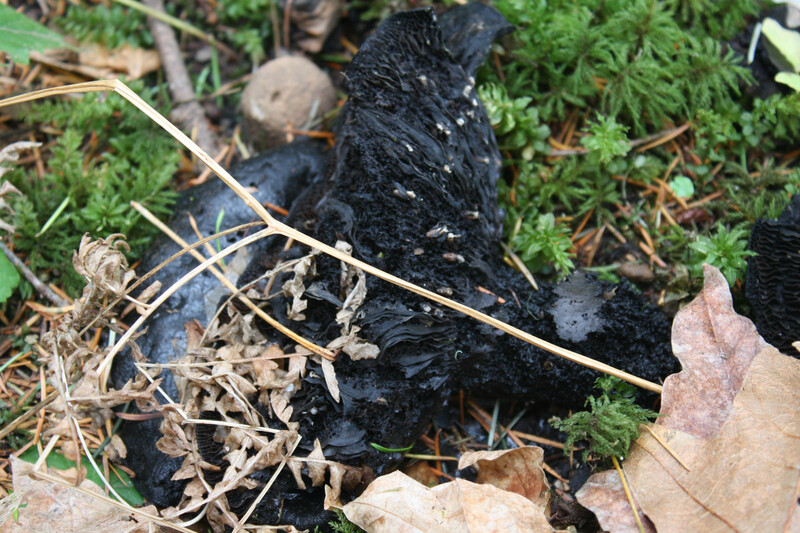 There were tons of these black mushrooms along the trail and they were humongous. I don’t know about you, but they just screamed “I’M POISONOUS” to me. 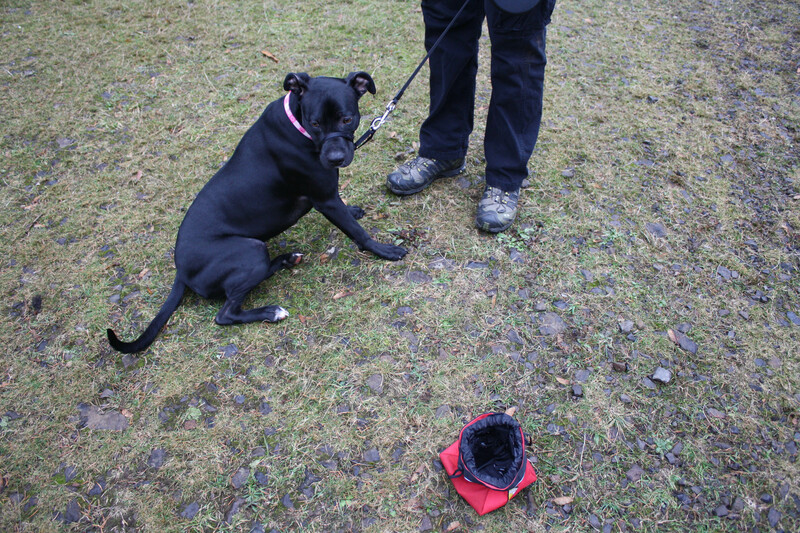 Bella was great at not eating things in the forest! 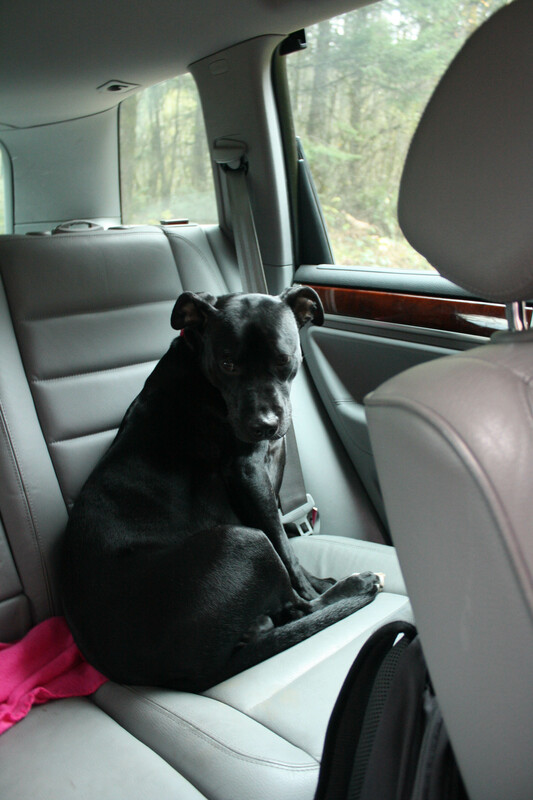 We got back to the car and Bella was probably ecstatic to be back in the car. My sentiments exactly. Michael turned the heat on (and the seat warmers) and the two of us ate our lunches before heading back to Portland. It was a really great hike and I was feeling so good! Woot! 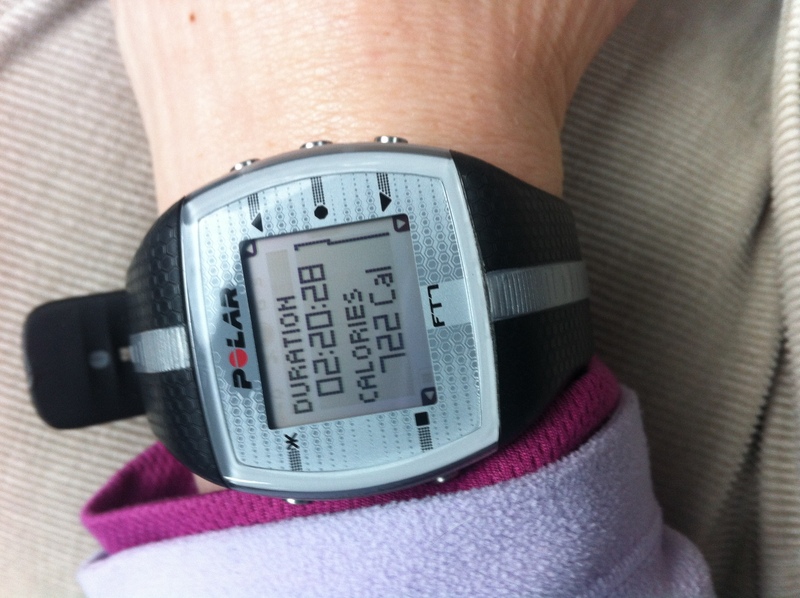 722 calories burned! That’s a lot, especially for a hike that doesn’t have a lot of elevation. We ended up doing 5.2 miles total. That was about 2 miles more than I had planned on doing, but in the end it worked it alright. Bella was good, my knees were good, that’s all that mattered. It was a nice way to spend the day. We got home and cleaned up. Michael built a fire in the fireplace and then started making dinner. More great news! Michael fixed the oven! YEAH!!!! After almost 2 months of not having an oven, it now works. To test it out we made his famous Mac n’ Cheese. We added some spicy sausage to it for some protein and pigged out. Damn I love that stuff! We settled in on the couch to watch a movie (Wolverine 2–not very good) and Bella was snoring louder than I’ve ever heard her snore. She was one pooped pooch! 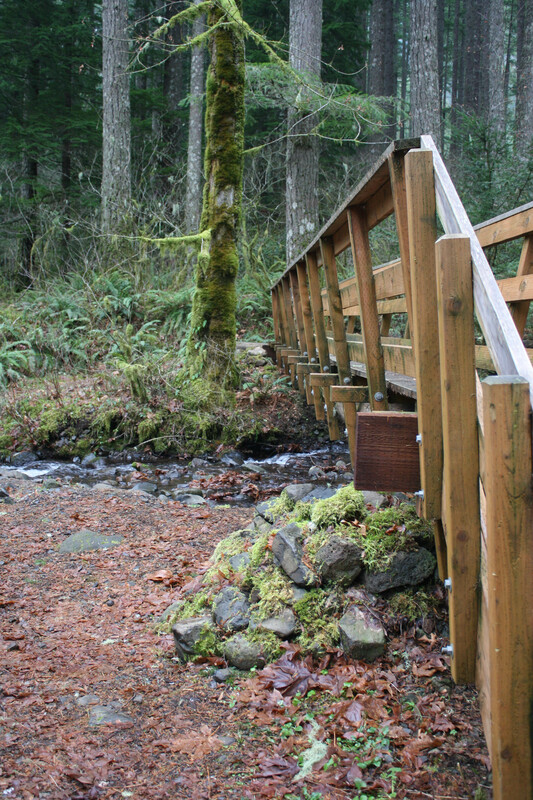 Hiking sounds so much better than shopping, especially on a great-looking trail like this one! Pretty falls too. I love a good hike after a big holiday meal. I have to agree. 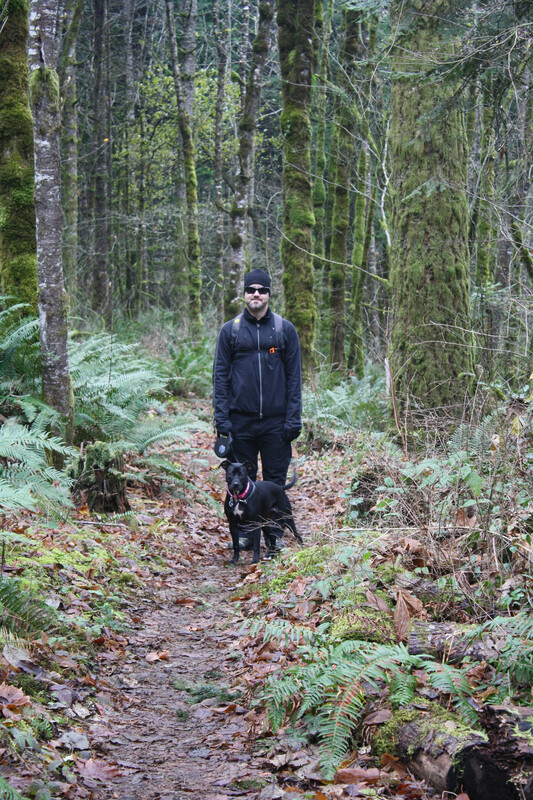 It was a good hike, I burned off a little bit of the turkey dinner and got some fresh air. Yay Bella! That looks like a beautiful hike and that mac and cheese looks AWESOME! It’s the best mac n’cheese I’ve ever had! Our friends are coming down this weekend and we randomly had a request from one of them for mac and cheese for lunch one day – which I’m not sure we’ve ever all eaten together. It was a really odd coincidence. It’s a toss up between this recipe and a bacon and smoked gouda mac and cheese recipe I also saw this week. We can’t decide!! Oooooh that’s a hard choice! I can’t decide either. Smoked gouda is my FAVORITE cheese…. We ended up going with the smoked gouda and bacon. I mean really…bacon. That’s all you ever really need. I love Bella! She can probably go for hours and hours so don’t worry. You do want to make sure to pack water for her, and probably some treats! So great that she could join you. Miz recently posted..Accidental goal achievement. Oh I did a little cybering! Hiking with dogs is a lot of fun. 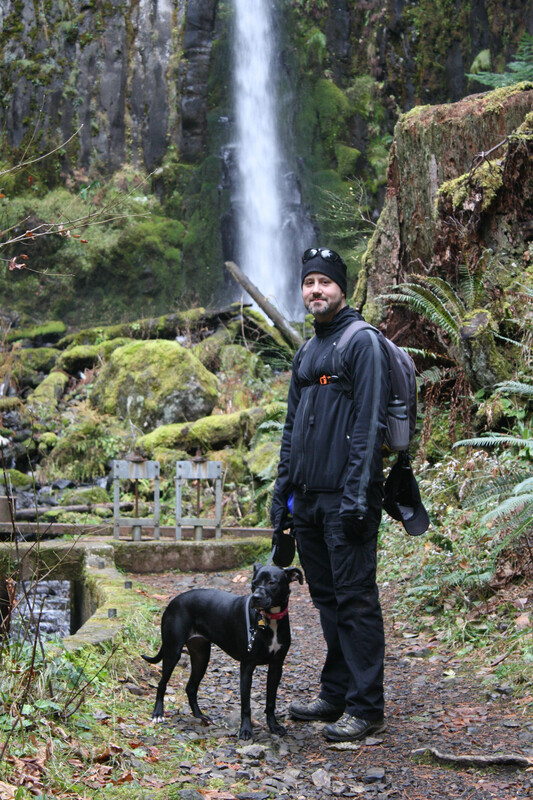 I know mine can go harder than I can, so I am sure Bella had a blast and such a beautiful place to hike. 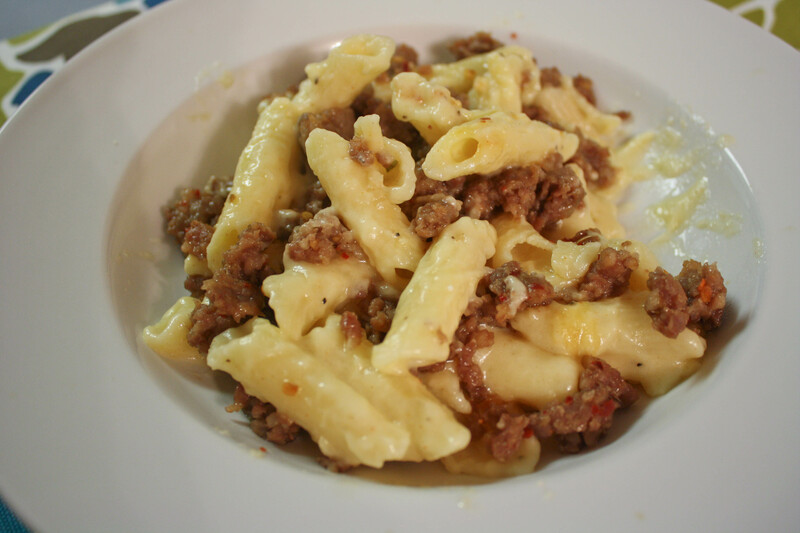 Minus the spicy and that Mac n’ cheese looks AMAZING! 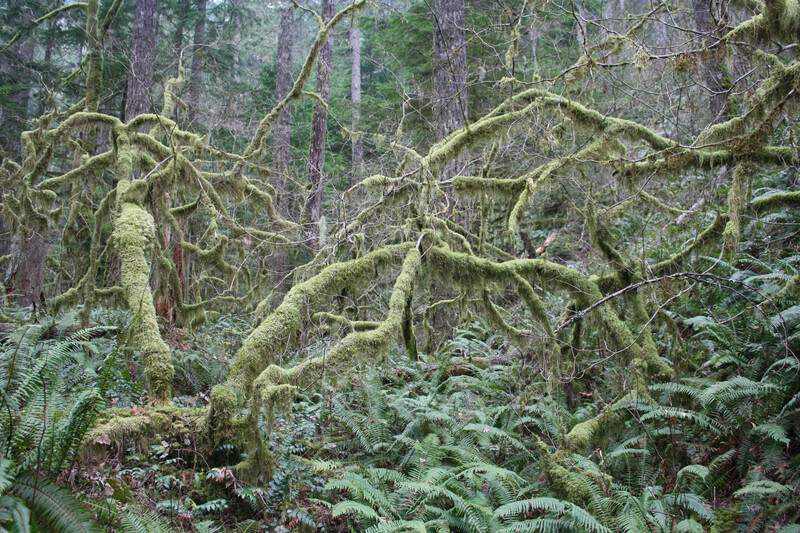 There are so many pretty hikes here in Oregon.